Jonny Lee Miller (as Sherlock Holmes) wearing a pair of Persol sunglasses in the tv series Elementary. Jonny Lee Miller could be wearing a pair of Persol 2720S as pictured here, but this model is out of production for some years.. 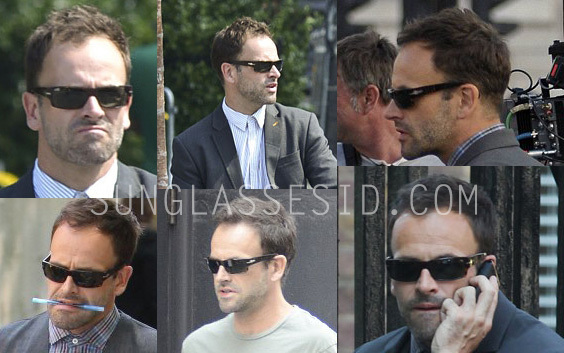 In the tv series Elementary, Jonny Lee Miller (as Sherlock Holmes) wears a pair of Persol sunglasses. It's hard to see which exact model, but it's definitely a pair of tortoise (havana) Persol shades. It could be model 2720S (as worn by James Bond) but that model is already not available for a few years. A similar current model is the Persol PO2747S in tortoise (color code 24/47), available at Amazon.com.